The signs of malware may not be immediately obvious to you or your visitors. For example, many website owners might assume that website defacement, an attack that changes the visual appearance of a website, is the only way of knowing their website has malware. However, defacements accounted for only 15% of malware incidents in Q3 2017. In reality, what makes malware so effective is its elusiveness and ability to hide from the website owner. Should any of these common signs appear, you can follow these next steps to confirm your suspicions. If you suspect that your website has malware, a good tool to help identify it is a URL scanner. There are several websites that will scan any URL for free, such as VirusTotal which uses over 60 antivirus scanners and URL/domain blacklisting services to see if your URL has been flagged for malware. If your site is flagged for malware and you want to find the source of the infection, you can start by looking at your website’s code. A best practice for all website owners is to keep frequent backups of your website. You can do this easily by using a tool that creates backups automatically. This offers several advantages, including having a clean copy to restore your site in the event of a cyberattack. Additionally, knowing what the clean, normal code on your website looks like can also help you spot potential signs of malware. But what if the worst happens and you don’t have a clean backup available? 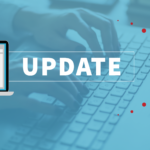 If you are familiar enough with your website or content management system’s (CMS’s) code to review it for suspicious content, you can check your database, files, and source code for signs of malware. If code isn’t your second language, don’t worry – check out the next section for more information about automated malware scanning. If you’re comfortable digging into your website, here’s how you can check for malware in your database, source code, and files. To check for malware in your databases, you will need access to a database administration tool offered by your web host such as phpMyAdmin. Once you have access to the tool, check for signs of malware using this list of common syntax used by cybercriminals. There are two types of attributes you’ll want to check if you are looking for malware in your source code: script attributes and iframe attributes. Look for any lines beginning with “<script src=>” and check for unfamiliar URLs or file names that follow. Similarly, look for unusual URLs included in <iframe src=”URL”>. If anything looks out of place, or the URL doesn’t look familiar, it’s a likely sign of cybercriminal activity. There are a few ways to manually check for malware in your website’s files, with varying degrees of difficulty and effectiveness. For most website owners, we recommend searching for malicious content in your website files using FTP or your host-provided file manager. 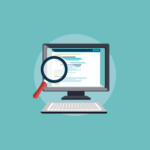 For best results, follow these detailed instructions on looking for malware in your website’s files and look for common types of injections often found on WordPress and other CMS-driven websites. Once you’ve learned how to examine your database, source code, and files for changes, you’ll need to do so regularly in order to properly monitor for malware. If this sounds overwhelming for someone new to code, there’s good news: the easiest way to check your website for malware is also the most reliable. Recent data shows that cybercriminals are more active than ever, increasing their attempted attacks by 16%. With such a high level of criminal activity, you’ll need protection that can keep up, such as a website scanner that can search your website for known malware and remove it automatically. 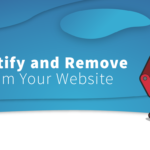 Daily, automatic website scanning not only saves you time, but allows you to get ahead of any infections, which may reduce the negative impact of malware on your site and its visitors. Malware scanners are typically designed to automatically scan for known and common malware types including backdoor files, shell scripts and spam. If the website scanner identifies malware, the website owner will be alerted immediately, and some solutions even provide automatic malware removal of malware. As cybercrime and malware continue to evolve, being proactive about your website’s security is your best defense. 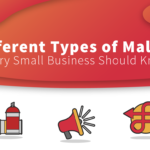 Whether you use hands-on methods to check for malware yourself, or deploy an automatic website scanner, by learning the different ways to look for malware, your website is one step closer to being secure. If you’d like to install an automatic website scanner, call SiteLock any time at 855.378.6200 to get set up.